We are happy to announce a very special surprise for our 4th edition of ABROADFEST. 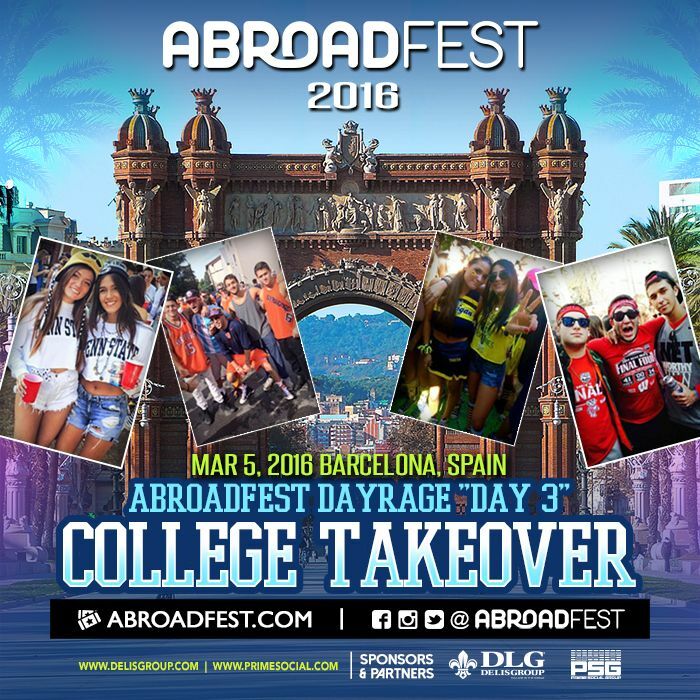 Day 3 of Abroadfest 2016 is our COLLEGE TAKEOVER DAYRAGE! Rep your university by wearing your schools letters on t-shirts, hats, and other gear. We wanna see which colleges are ready to takeover Europe and party in style! Let’s see which school knows how to rage the hardest. See you in the beautiful and sunny Barcelona. AF2016 – Best Weekend Ever.